It’s 2pm and I get home from school. Starving, but have very little food at home and don’t feel like going out. 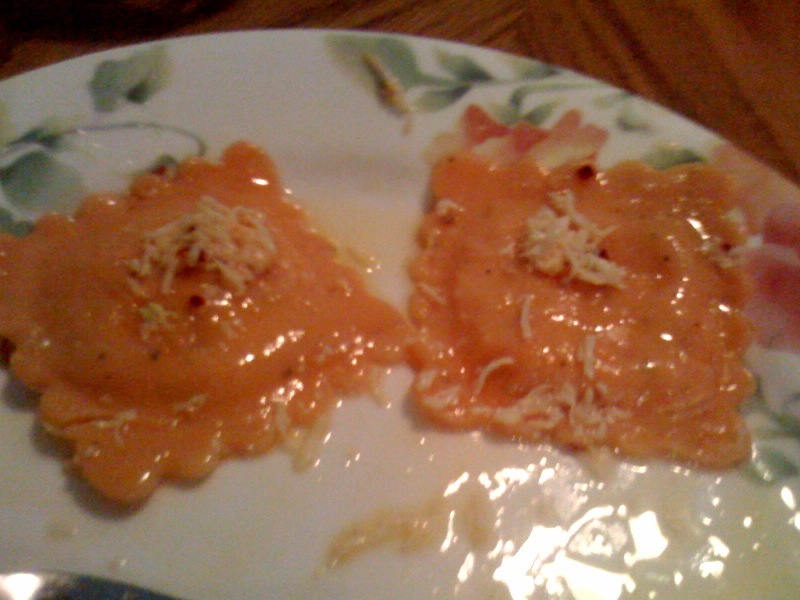 I have some frozen raviolis and I decide to cook them with this recipe. I run into my first (and for obvious reasons) serious problem. No sage leaves. We do however have rubbed sage.. I have no idea what that means but decide that will work. Having “solved” this problem I quickly arrive at obstacle number two: No lemons or lemon juice. Consider using italian salad dressing.. nah.. lemonade powder? mm probably best to just omit the lemon idea entirely. I add the three TBSP of I can’t believe it’s not butter (4 just sounded like too much for two servings of pasta), and run into just one more small problem.. I have no idea what browning butter means. I Google it, and come up with a reasonable idea. Ultimately I don’t quite succeed in browning my fake butter as I’m worried about burning it. Add my roommates mom’s Italian seasoning, red crushed peppers, salt, pepper, and a lot of Parmesan. and throw it over some ravioli. As I write this I’m actually quite enjoying the meal. Much more so than if it had been out of a jar. And perhaps the answer to why lies in the fact that even I can’t go wrong when something is soaking in immense amounts of butter. 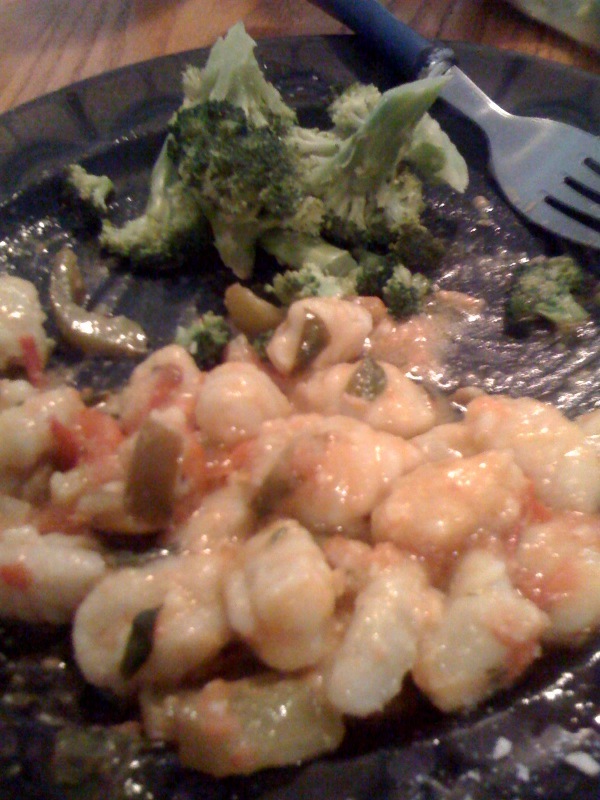 Post more recipes I’ll love trying them and the correct version of this one soon! Need to run to king soopers apparently. Oh and for incompetent people like me cooking tricks and how much a recipe serves would be unbelievably helpful. This was hilarious:) I laughed out loud at work and everyone looked at me funny. I am glad that it all worked out. I think you made the right call with the lemonade powder. I will try to post some more recipes soon, and consider adding some cooking tips. Browning butter is cooking it until it turns a shade of brown, and then removing it from heat (so you don’t burn it). If you are paying close attention, you will see the color change. I am not sure if it works with fake butter. Love you.